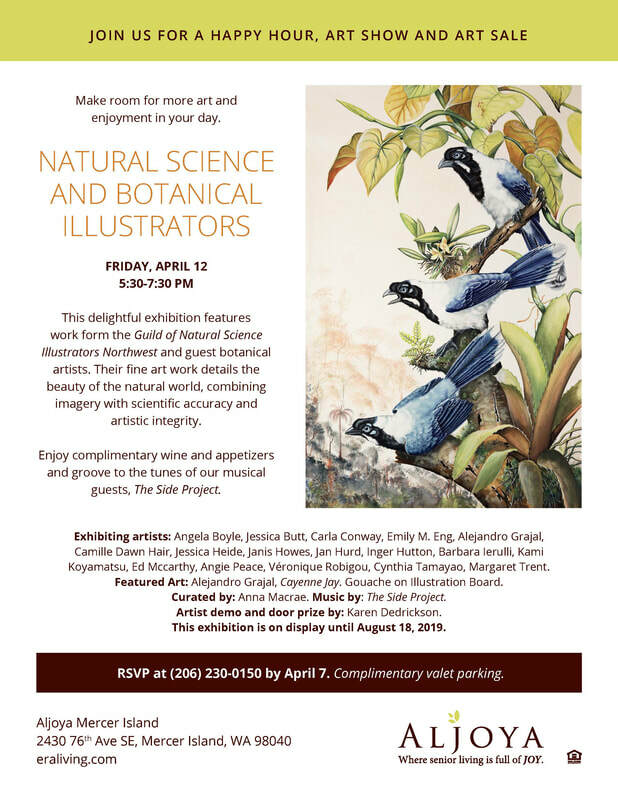 Washington State based artists of the Guild of Natural Science Illustrators Northwest are invited to submit artwork to be included in this juried art exhibition at Aljoya Mercer Island. There is no submission fee, and the artist receives 100% of any sales, all artwork is insured and hung by our professorial installers. There will be a well-attended gala reception, with live music and full service buffet and wine bar. Attach resume, bio and artist statement regarding this particular theme and exhibition. Please include all this information in one document, maximum pages 3. These documents are for the artist binder. Do not include your address if you don’t want the public to see it. Include any contact info you want your audience to connect to you and your work. The artist receives 100% from sales at Era Living locations – no commission is taken. Sales are made directly between you and your client. Postcards are generated for each show and promotional material sent to print and online media sources. Opening receptions are held for each exhibition and artists may be invited by the curator to participate in artist talks. Art at Era Living is viewed by residents and guests, and the public is invited to view the work. 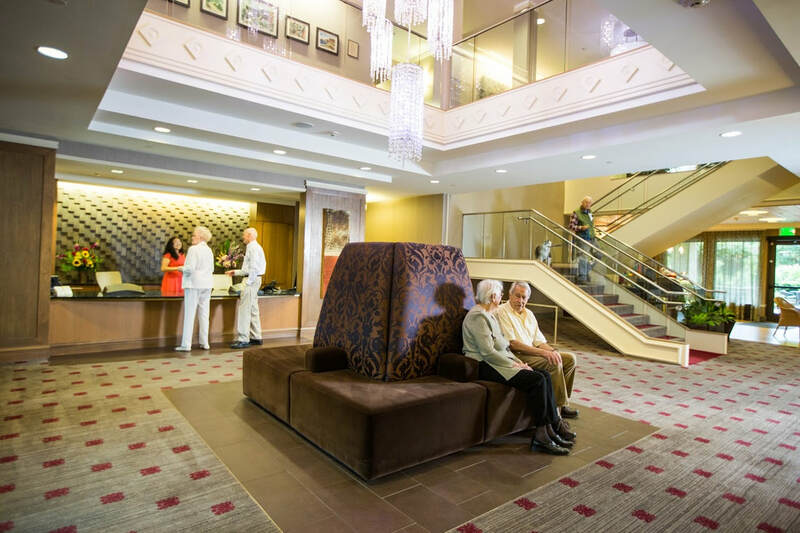 Era Living is a Seattle based company founded in 1987 to provide innovative housing, programs, and service to their retirement communities.